A couple years ago, I decorated Owen’s room for Christmas, and I loved it. Was it very extra? Of course. Did I care? Nope. Last year I did the minimal amount of decorating for Christmas because my 7 month pregnant belly rivaled Santa’s. But this year my uterus is not occupied with a child, therefore I’m feeling like a slightly less-exhausted 33 year old. So it. is. on. 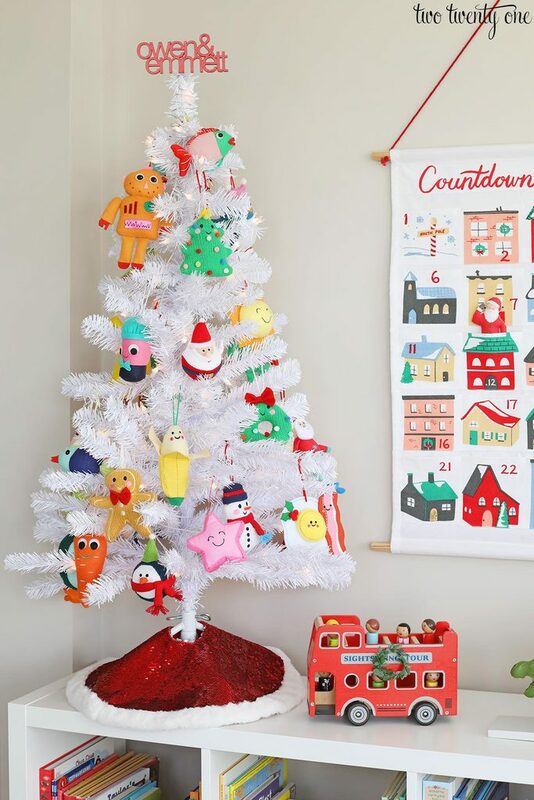 with the Christmas decorating up in here– which includes the kids’ playroom. 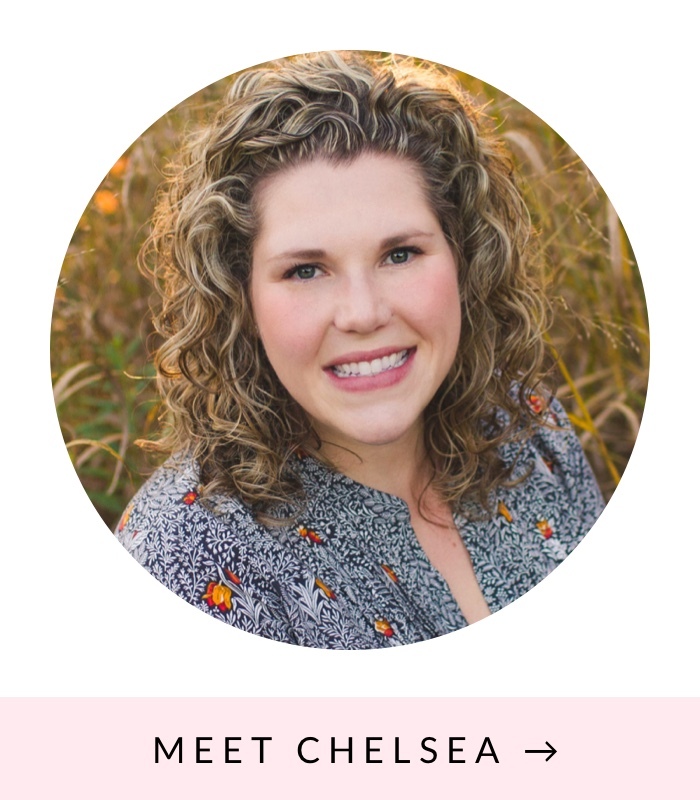 I should also add that I rounded up some blog friends for a little Kid Christmas Tour. So please be sure to check out all the adorable kid spaces and trees decorated for Christmas at the bottom of the post. And if you’re stopping by from Haneen’s Haven, hello! And fear not, I’ll source as much as possible at the bottom of the post. 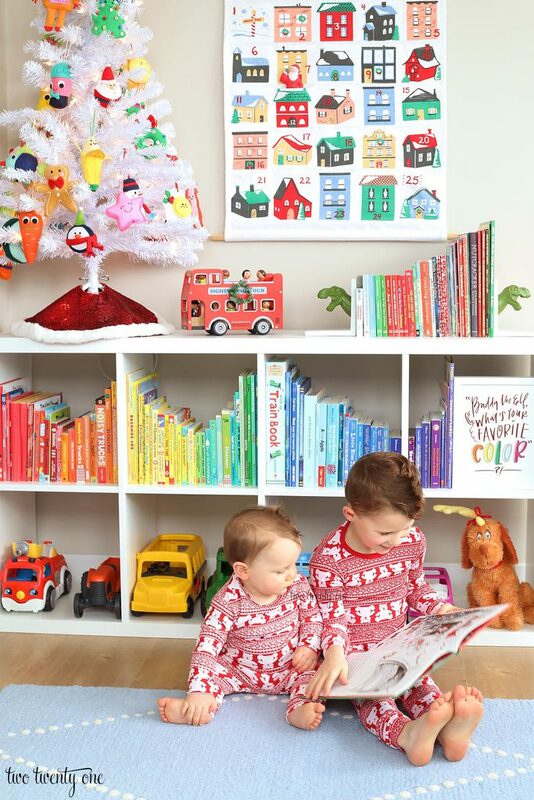 Emmett, 9 months old, organized the books and vehicles into this spectacular rainbow all by himself. JK. I did that. And then I taped it off with painters tape so my kids couldn’t fudge it up before I could take photos. You may recognize this shelving unit from Owen’s closet in our old house. It wouldn’t fit in his closet here, but it would fit in this little corner of the playroom. 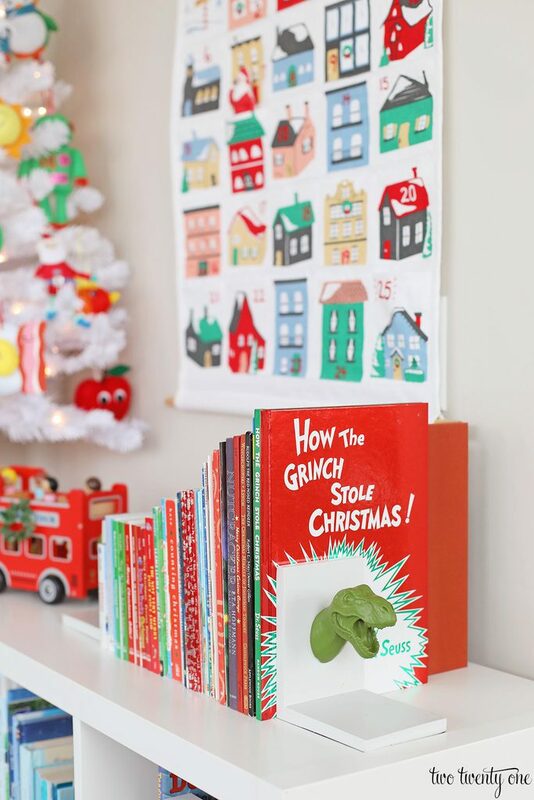 I put our collection of holiday books on top of the shelf. 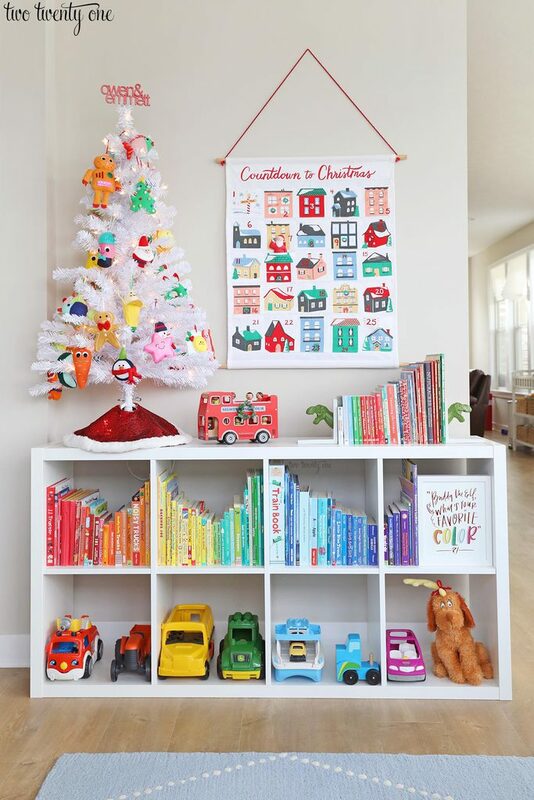 I shared the playroom Christmas tree a couple weeks ago. My favorite part of the tree is the custom name tree topper I thought of and had my talented friend create for me. She’s selling them in her Etsy shop, btw. 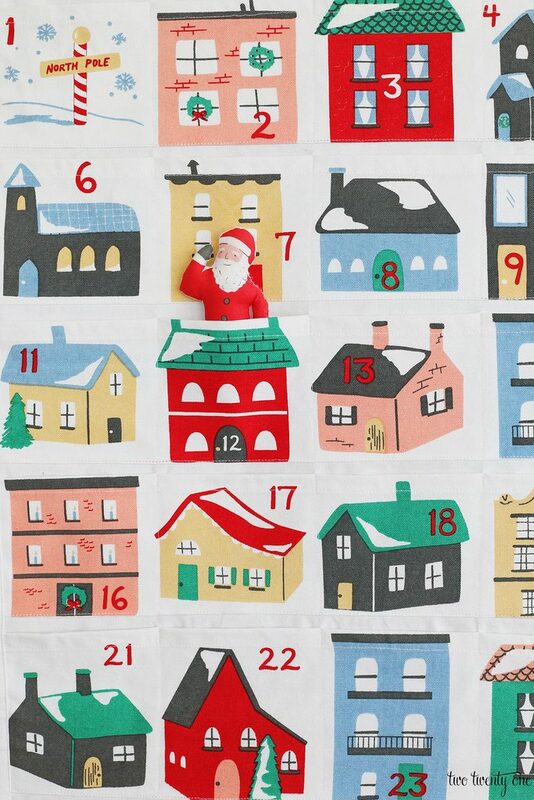 I’ve professed my love for this advent calendar more than once. It’s still in stock, but please note that they changed the font type and added tassels. Doesn’t Santa resemble Hershel from The Walking Dead? RIP, Scott Wilson. OMG, look at these adorable children. I’ve said it before, and I’ll say it again, one of the reasons I wanted more than one child was so I could dress them in matching pajamas. I also took it upon myself to decorate our play kitchen. And since I decorated the kitchen, Owen likes to decorate the kitchen, which basically means he rearranges the decorations. It’s pretty cute. The other night he got out his cash register and was charging Brad and I admission to see his advent Christmas tree. I have no idea where he picked this up, but I appreciate his entrepreneurship. 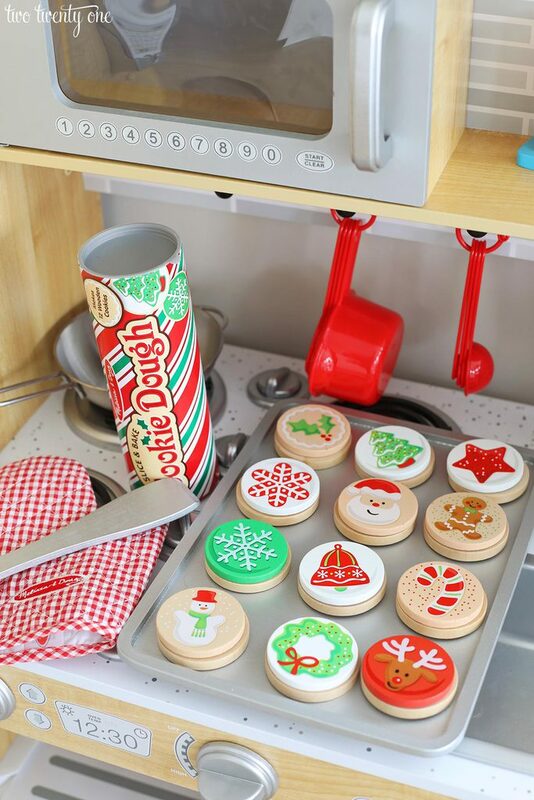 This Christmas cookie set is the epitome of cuteness. 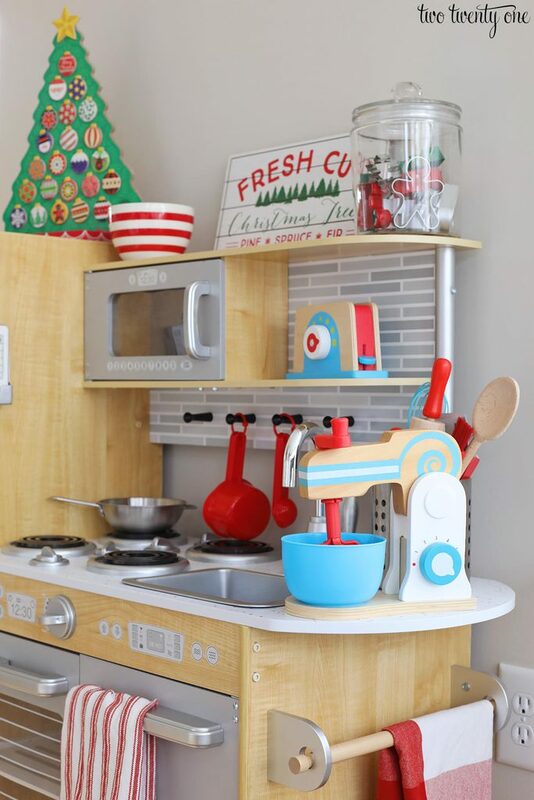 We love this play kitchen. Well, not assembling it, but we like the final result. One thing I really like is the height of this specific kitchen. 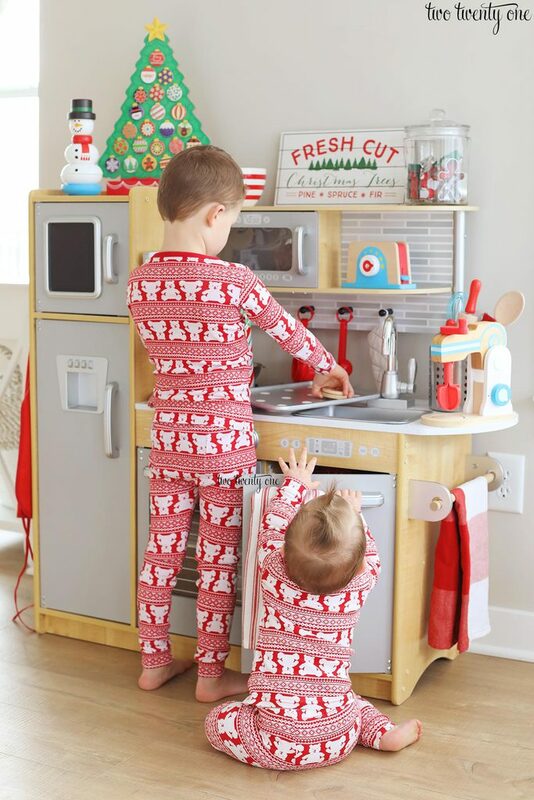 Since we have at least one tall child, I wanted a kitchen that wouldn’t feel small to him. 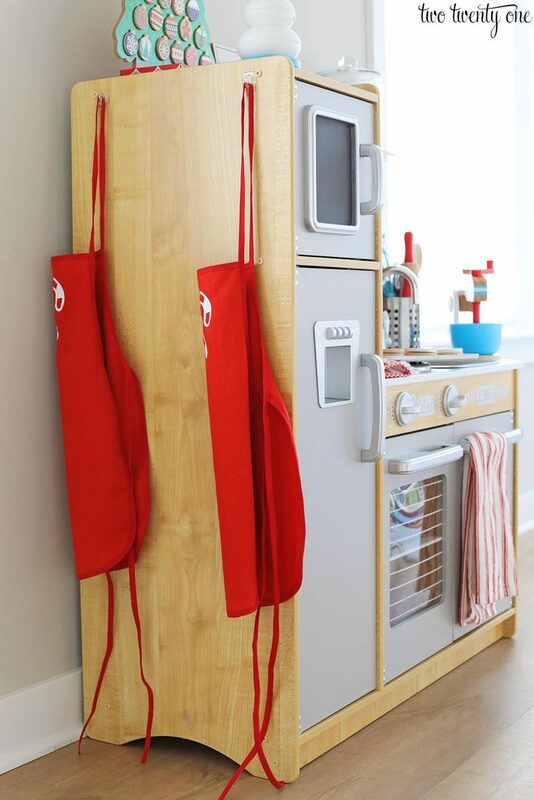 This kitchen is ~41 inches tall, which is great for our 43-inch tall boy. And if you follow me on Instagram and watch my Stories, you would know that the kitchen was on sale for less than $90 earlier this week, which is bananas. 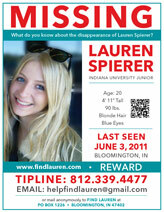 It’s back up to $130 now. See, it pays to follow me on Instagram. I hung the boys’ monogrammed aprons from the gingerbread house decorating party I through last year. Emmett wasn’t born yet, but we knew what his name would be so I went ahead and made him an apron while I was making all the others. The tour continues on with House of Hoff! 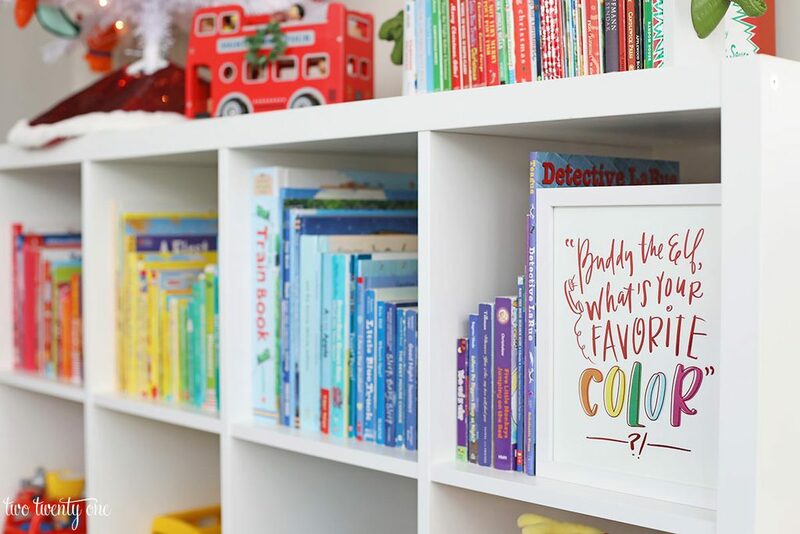 Your rainbow book collection is something to be admired! Also, how genius is that tree topper! So cute! Sidenote: I hopped over to your gingerbread house decorating party and determined that I’m going to have a party for my kids. That looks so fun! 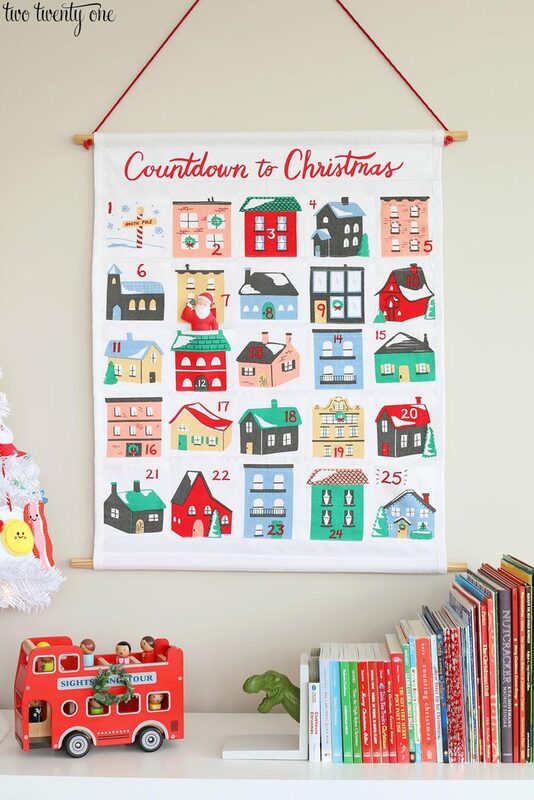 this is so cheerful and magical! i want to come be your kid! This is totally adorable!!! 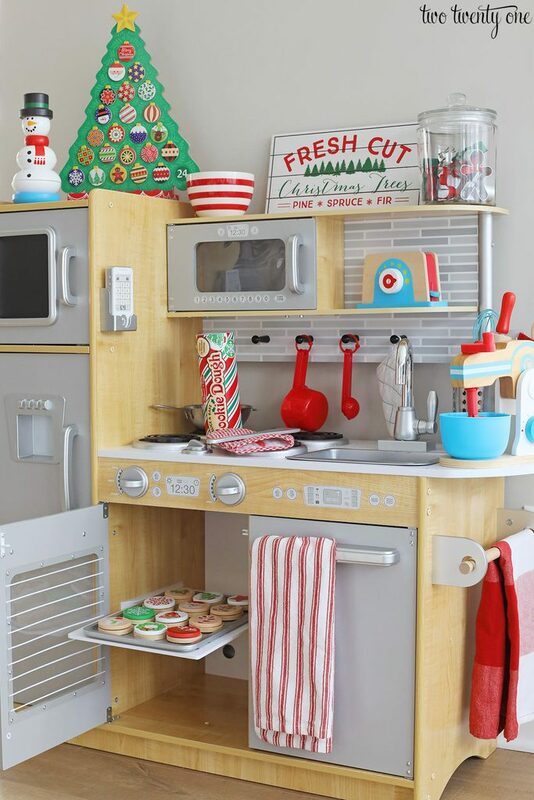 Firstly, I’m mad I took out our play kitchen for the pictures. I had it in there and then it looked too cluttered. Now, I wish I had left it in because I LOVE how you decorated it for Christmas. So festive and inviting for kids. The play Christmas cookies are insanely cute! Beautiful playroom all ready for Christmas!